I DO have a clearer photo of Brigitte Lin from Dubai Film Fest! Looking for photos to use in an email interview, I sifted through some remaining photos of the Dubai Film Fest closing ceremony that I haven't uploaded in my earlier post. 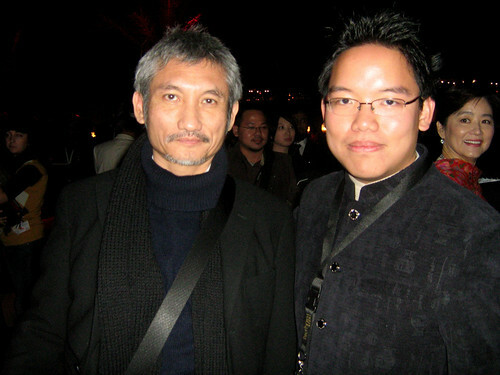 I also found another photo I took with Tsui Hark, this time only by myself. I double-clicked the photo to check it out properly again as I haven't done that before. To my surprise, Brigitte Lin can actually be seen standing in the background, on the far right of the photo. 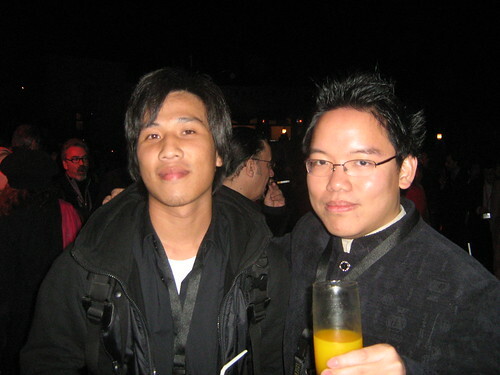 Prior to this, I had regretted that the photo I took with Brigitte Lin was so blurry. Now I realize I still have another photo with her in it! Awesome!